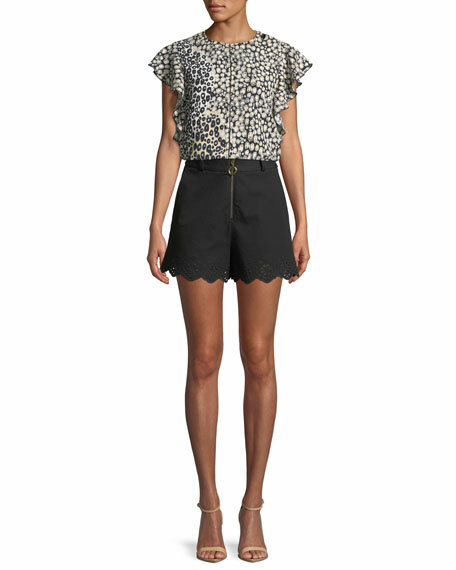 Derek Lam 10 Crosby stretch-cotton short with eyelet embroidery. For in-store inquiries, use sku #2527455. 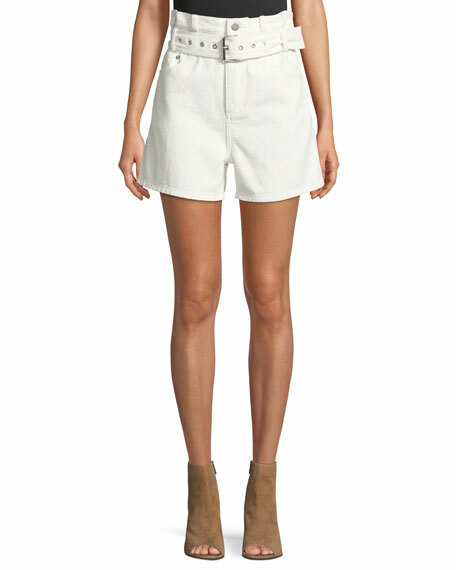 3.1 Phillip Lim belted "Paper Bag" denim shorts. Button/zip fly; belt loops. Thorn buckle belt. High-rise waistline. Side slip pockets. Back patch pocket. Cotton. Imported. 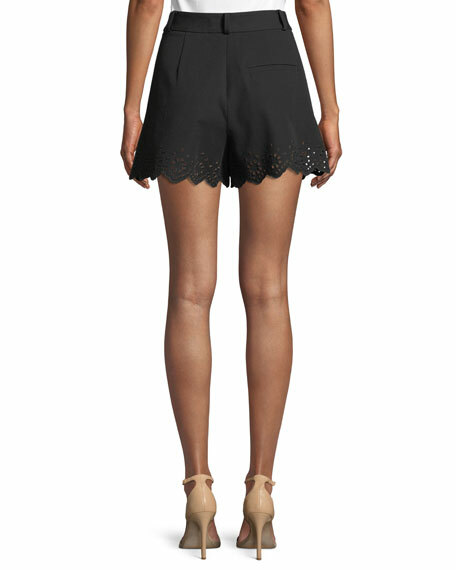 T by Alexander Wang "Bite" shorts in rigid denim with hand-processed look. High rise; belt loops. Five-pocket style. Relaxed legs. Leather logo patch at back. Frayed cutoff hem. Button/zip fly. Cotton. Hand wash. Made in USA. 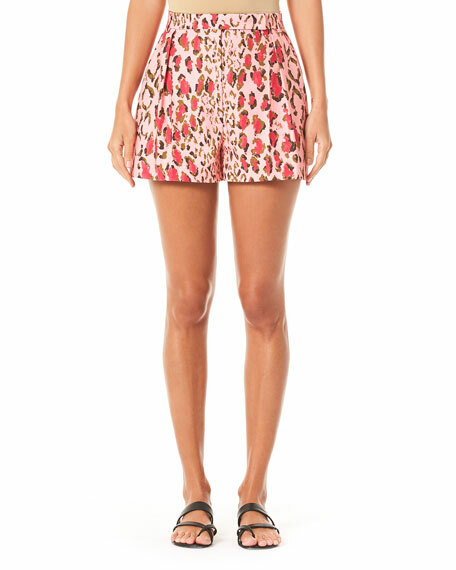 Carolina Herrara shorts in leopard-print cotton poplin. High rise. Pleated front. Side seam pockets; back welt pocket. Mid thigh length. Tab/zip fly; belt loops. Cotton/spandex. Made in USA. Chloe shorts in white denim with contrast stitching. Mid rise. Five-pocket style. Relaxed fit through legs. Hook/zip front; belt loops. Cotton/spandex. Lining, cotton. Imported.